The Arboretum is located in Sandpoint, Idaho on Lake Pend Oreille. In addition to the beautiful lake, there is a mountain resort for winter skiing. Locals often observe, “we’re almost in Canada,” in an area referred to as the Panhandle. It has stunning scenery, four seasons, and residents who cherish the quality of life. It is also blessed with a surprisingly rich variety of native plants. 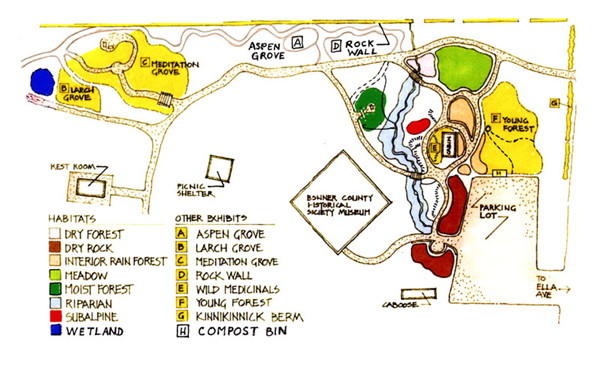 The Arboretum was developed based on an idea conceived by Lois Wythe, the founder of the Kinnikinnick Native Plant Society in 1997. 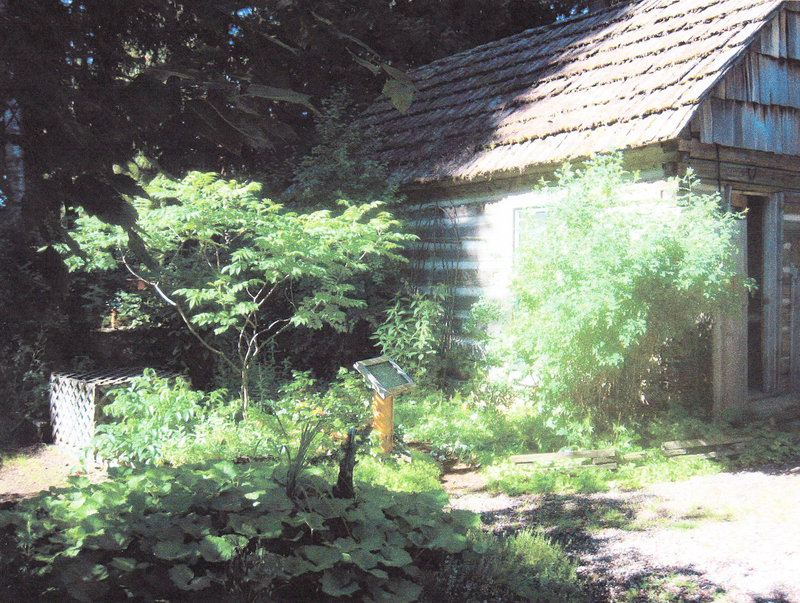 Lois Wythe was a long-time gardener, herbalist and teacher of plant cultivation and uses. 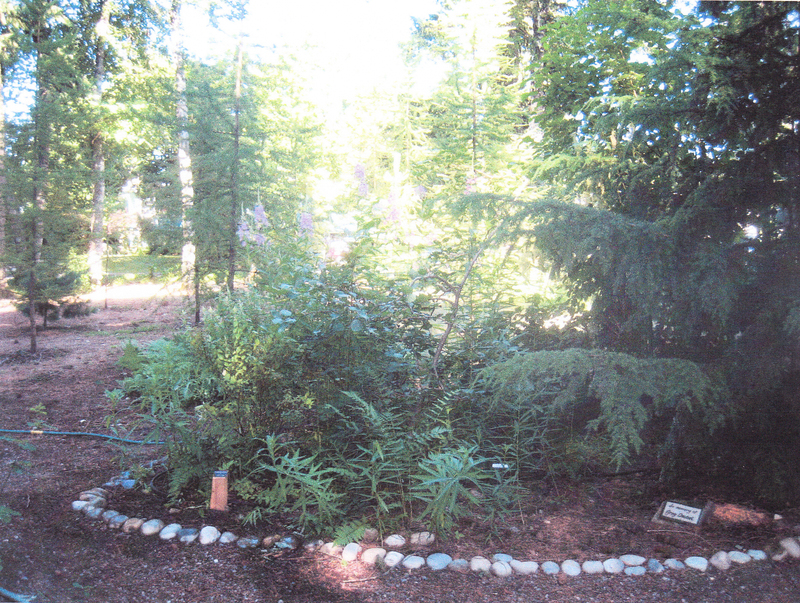 The Arboretum is located in Sandpoint’s Lakeview Park on just over an acre of land, comprised of approximately 50 great conifers along with the native plant understory. 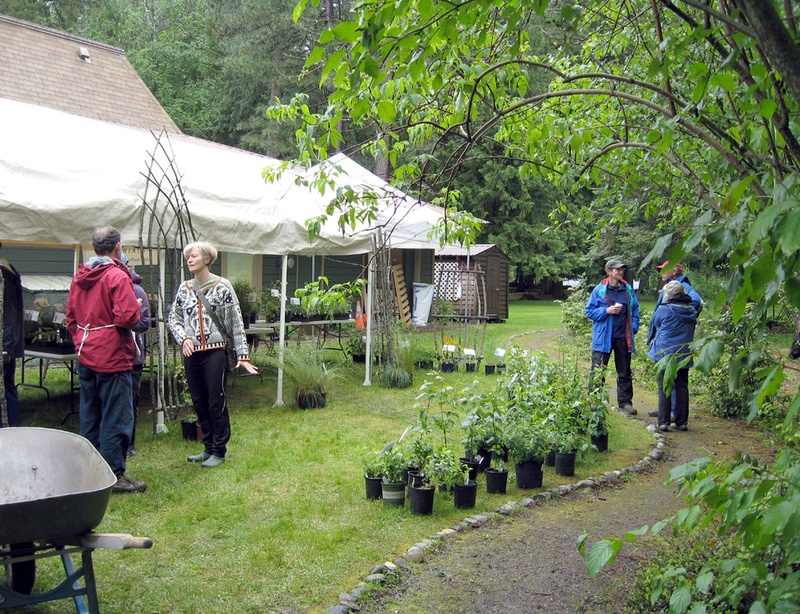 The City of Sandpoint granted permission to the Native Plant Society to operate the Arboretum in 1999. 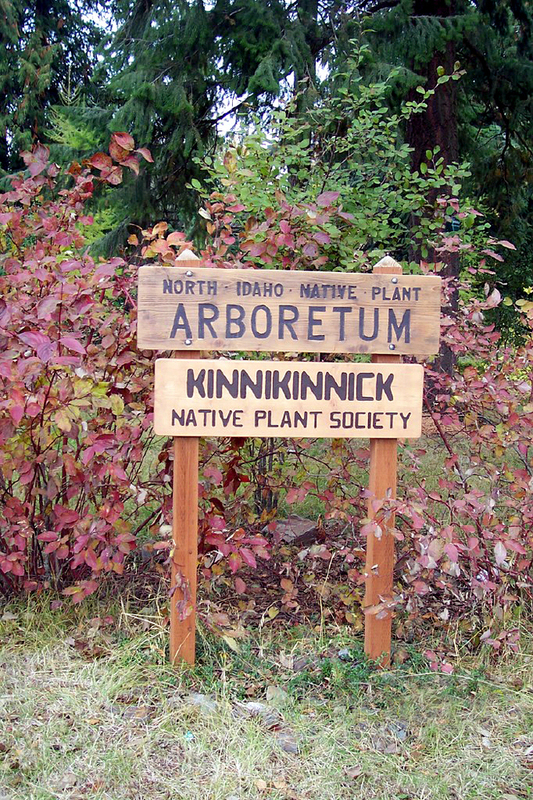 The Mission of the Kinnikinnick Native Plant Society is to foster an understanding and appreciation of native flora and its habitats in the panhandle area of North Idaho, to advocate the conservation of this rich natural heritage for future generations, to encourage the responsible use of native plants in landscaping and restoration and to educate the youth and general public in the value of the native flora and their habitats. Sponsoring an annual native plant sale in association with Arbor Day. The Arboretum is cared for by a volunteer committee who plan, plant, weed, and tend to the area. There is a paid coordinator who is present Monday – Friday, nine to noon during the summer. The “office” for the Arboretum is located in a homesteader’s cabin that was moved to this site in the late 1990s. Winding paths lead Arboretum visitors to the habitats that mimic regions of the Pacific Northwest. Signs describing each habitat are placed for visitors to understand the various areas and their plants. Recently a kiosk has been added with a large map showing the trails to the habitats. Kinnikinnick, the name of our Native Plant Society, is one of the native plants brought back by Lewis and Clark, is an evergreen, sun-loving ground cover that is a delight to gardeners. The volunteers all comment that one of the most satisfying aspects of working in the Arboretum are the park visitors who come to the volunteers while they are working. The visitors express their thanks for the pleasure the Arboretum gives them and say they find the natural beauty, peace and tranquility makes it one of their favorite places. -Story contributed by Mary Jo H.